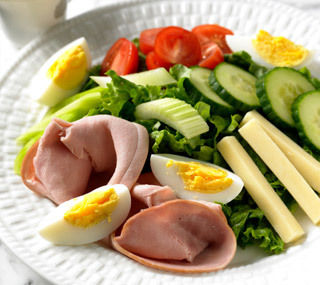 I'm starting my Specials Cook Ahead plans with eggs because they are the best value for money when it comes to buying a healthy protein source. 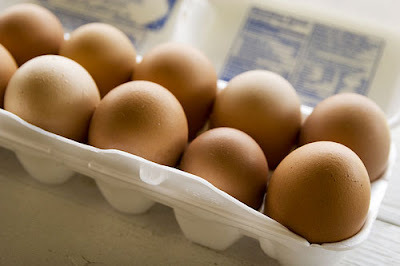 Most areas now have available organic hormone free and free range eggs. 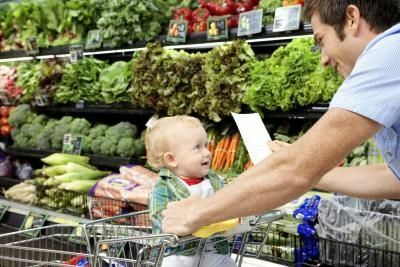 Even though you will pay a bit more they are still very affordable for most budgets, so using them as a basis for many of your weekly meals is a smart move. 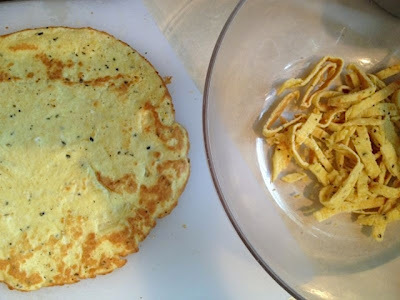 Because there are so many things you can do with eggs I am going to give you two posts this week - this one on basics and then one tomorrow on ready-made meals as well as how to deal with an egg surplus. 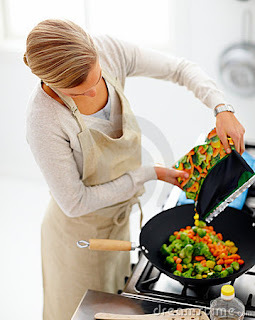 All these cook ahead plans only contain 3 to 5 different items and can easily be done in a 2 or 3 hour session either in the evening or on the weekend - whatever works best for you. 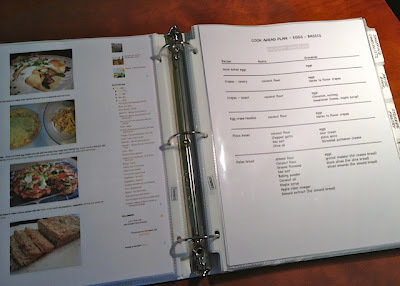 For an introduction to how these Cook Ahead plans work and for ideas on how to store your cooked meals check this post. I have also purposely not included specific amounts of any ingredients. The lists will remind you what you will need, but it's up to you to decide how much of any recipe you will make and also which version. 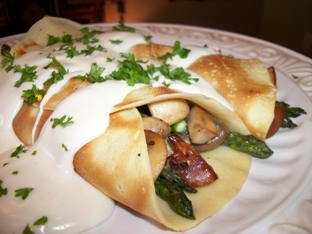 For instance today you will need to decide whether to make savoury or sweet crepes or both, and which version of the basic bread you prefer. 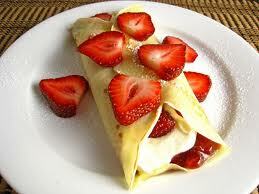 ( 2 ) Egg crepes - Use this recipe to make main dishes such as these or desserts such as these. ( 3 ) Egg crepe noodles - Once you have egg crepes you are just one easy step away from having egg crepe noodles that you can use in many dishes such as chicken noodle soup, Italian meat sauce with noodles, and noodles with pesto and parmesan. 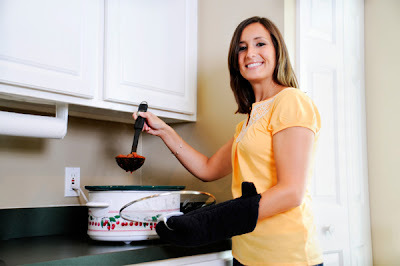 ( 4 ) Pizza bases - Use these to make various pizzas with the basic recipe such as pepperoni, vegetable, shrimp and pesto or marinated pepper and olive. ( 5 ) Paleo bread - This really doesn't need any explanation does it? 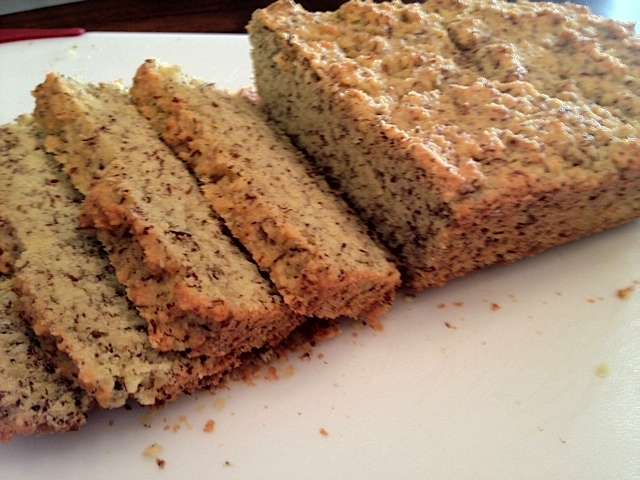 Anywhere you would have used regular bread in the past you can now use Paleo bread. Eggs - Basics You can download them here. 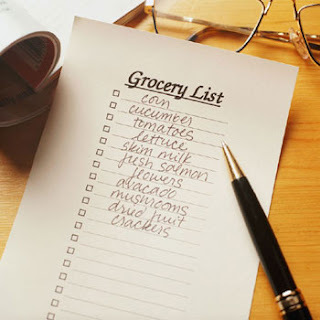 If all you ever do is just follow this one cook ahead plan, for a small investment of time and money you will have a fridge and freezer full of great Paleo meal - and dessert - options.